It was great to be invited to the Golf Tour Operator Days hosted by The Royal Dublin Golf Club and Ballybunion Golf Club, on Friday 5th & Monday 8th October 2018 respectively! Tom attended (of course!!) and here are his thoughts on 2 great days of golf!! The great and the good from our industry were in attendance, with a warm welcome at both venues as usual. The workshop session with the Dublin hotels at The Royal Dublin was especially useful as we worked through a few things that can make things easier to put together some amazing Golf Trips to Ireland in the future. Okay, onto the golf! Having fond memories of my only previous time playing The Royal Dublin (our team won the Irish Hospice Golf Day), I was again looking forward to taking on the challenge of one of Ireland’s oldest and most historic courses. The Royal Dublin has been testing golfers since 1885 and even with it being one of Ireland’s oldest courses the challenge has not diminished with age! It’s not a bombers course so possibly a great venue for a future Ryder Cup if Le Golf National is anything to go by – you need to plot your way around this classic links and if you’re offline you need to ensure your miss is in the right areas. A thoroughly enjoyable course that has a very traditional outward 9 heading out from the Clubhouse to the end of their stretch of North Bull Island with the back 9 sweeping back towards the Clubhouse while your backdrop is the Dublin Mountains and Dublin Port with huge ferries pulling in from time to time! The Royal Dublin is a thoroughly enjoyable course, from tee to green! It was also in excellent condition for October which bodes well for those looking for some off-season golf. Our team finished 3rd on the day, in the company of Jeff & Noel from the club itself which did help for a little more local knowledge. Dinner after our round in the Clubhouse was delicious and a fitting finalé to a fabulous day. 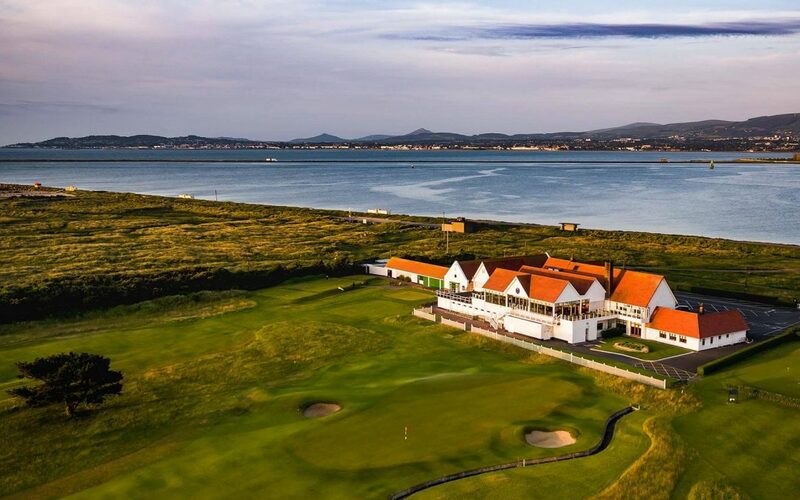 With the course being only 10kms from Dublin City Centre it is an ideal course to have as part of your next Golf Trip on Ireland’s exquisite East Coast. 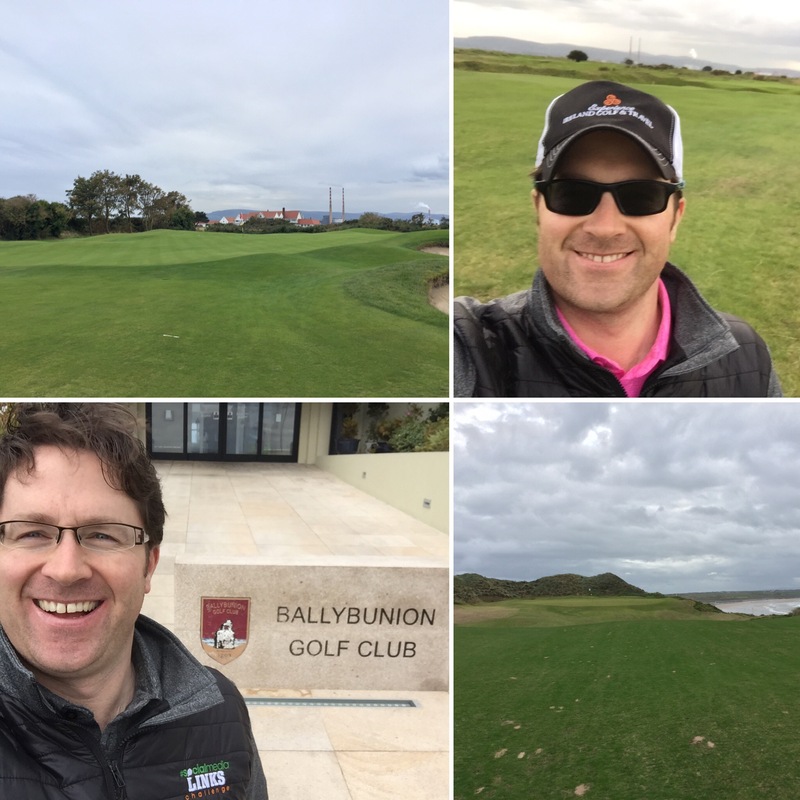 The Old Course at Ballybunion Golf Club provided the test on Monday 8th October, and what a test it was in a proper links breeze! The greens were as quick as I’ve seen them with the extensive course work reaping many rewards now. Our team set off from the 18th Tee with an 11am Shotgun Start on the day, luckily for us our opening holes were downwind so a good start resulted but unfortunately we could not keep up the good scores going on reaching the back 9, finishing 3 shots off the winning score in the end. It was great to tee it up with two Joes on the day – Joe from Ballybunion and Joe from Irish Chauffeur Tours – with the company and the golf most enjoyable! The more I play The Old Course the more I like it and appreciate it as one of the finest courses in Ireland, and therefore the World! The plaudits the course gets are well justified while I have a particular grá (love if you don’t speak Irish!) for the younger sister which is the Cashen Course, the 36 holes at Ballybunion are 36 of the most phenomenal you will find anywhere. Ballybunion is an amazing spot, and both The Old & Cashen Course are well worth including on your next Golf Trip to the South West of Ireland. A great way to start the finish of the 2018 Golf Season in Ireland, with a few more invites to come hopefully! !